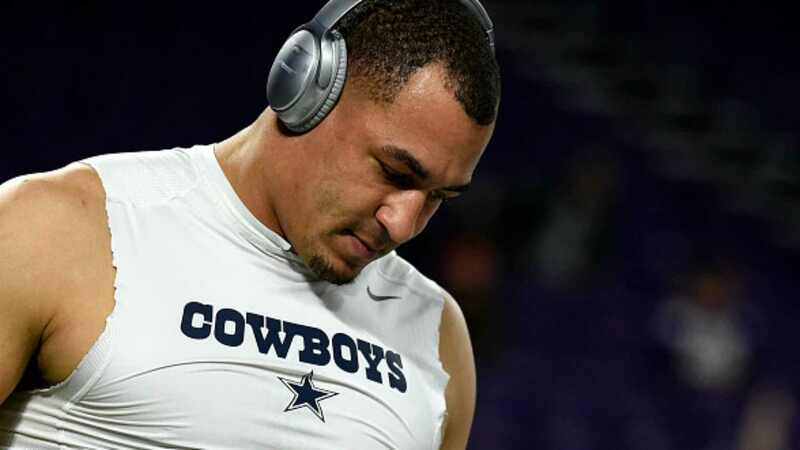 Will Cowboys DL Tyrone Crawford be a 2019 Salary Cap Casualty? One of the tougher contract decisions facing the Dallas Cowboys this offseason is with Defensive Lineman Tyrone Crawford. While the veteran is still a solid contributor and one of their captains last year, the Cowboys can create about $6 million in salary cap space by releasing or trading him. This is a tough one because Tyrone isn't grossly overpaid. His $10.1 million cap hit for 2019 is a bit high for what he offers, but it's not awful. He's still just 29 years old, a model citizen and locker room presence, and just had a career-high with 5.5 sacks last season. But according to Over The Cap, Crawford will rank 31st among all NFL defensive linemen for 2019 salary cap numbers (currently under contract for next season, not 2019 free agents). That includes everyone from the 4-3 pass rushers to the 3-4 nose tackles. If you consider that there are 32 teams in the NFL, you would like for anyone in or around that Top 30 to be a game-changing player. But Crawford isn't that guy; his 5.5 sacks had him tied for 64th in the league in 2018. He's never been named to an All-Pro team or gone to the Pro Bowl. Assuming he turns in 2019, DeMarcus Lawrence will be the team's highest-paid defensive linemen. In fact, he could be the most expensive DL in the league after this offseason's contract negotiations. If you're paying that much for Lawrence, you need the next guys up to be giving you something back in value. You can't afford to be overpaying elsewhere on defense, and especially on the line. You need your franchise guy to be making lesser-paid players better. Crawford is solid at best. His value is enhanced by his versatility, being able to play either DE or DT and being competent at both. But he's still not worth $10 million of your salary cap for his overall impact. However, because Crawford contributes consistently and is still one of your best current defensive linemen, you can't just release him without weighing the cost. Is that $5.9 million in cap space worth the replacement cost of losing Tyrone? You first look at who is already on the roster. At defensive end, the Cowboys would ideally like to play next year with some combination of Lawrence, Taco Charlton, and Randy Gregory. Now entering his third year, Charlton needs to be taking on a much more significant role to avoid the "first-round bust" label. At tackle, a solid duo was emerging late last year in Maliek Collins and Antwaun Woods. 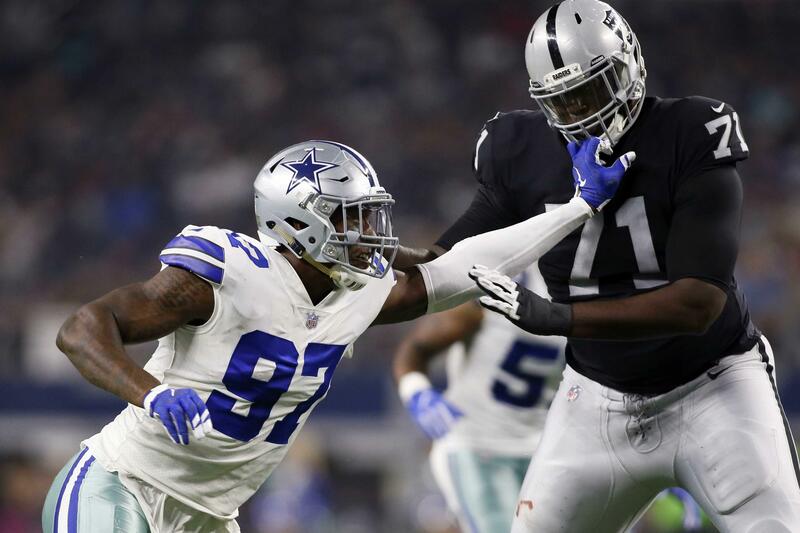 But after getting gashed by the Los Angeles Rams' rushing attack in their playoff loss, the Cowboys may be looking for even greater upgrades in the middle of the line. Another x-factor here is David Irving, who has the same position flex as Tyrone Crawford and more upside. If he can finally get his personal life in order, Irving could render Crawford rather unessential from a playing standpoint. Tyrone's value as a spokesman might be harder to replace, but leadership appears to coming from the rising young core on defense. 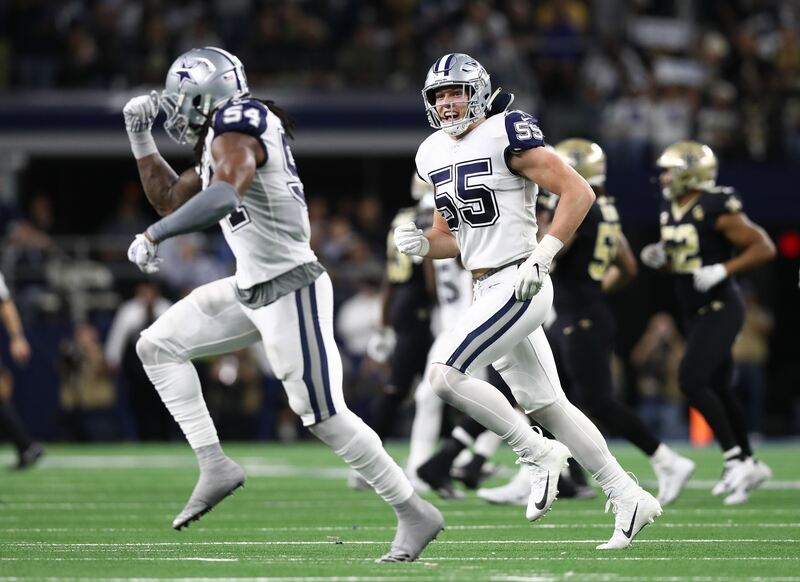 Between Lawrence, linebackers Jaylon Smith and Leighton Vander Esch, and cornerback Byron Jones, the Cowboys have several guys who appear capable of being the new voices in the locker room. All that being said, could the Cowboys afford to keep Tyrone Crawford? His contract doesn't expire until 2021, which means even more cap savings if they give it one more year with Crawford. Dallas could get $8 million in space in 2020 and only have $1.1 million dead money if they wait. 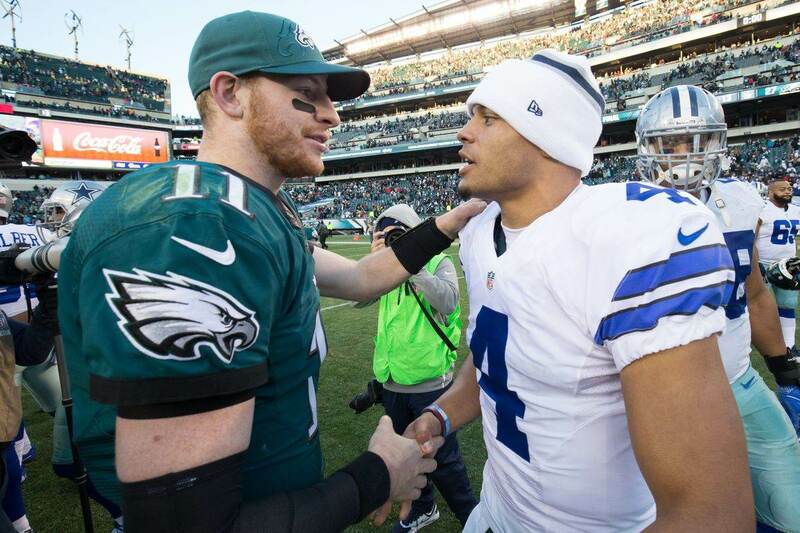 Even with some major expenses on the way, such as Lawrence's new contract and a potential extension for QB Dak Prescott, the Dallas Cowboys aren't going to be hurting for salary cap space in 2019. They are projected to have around $50 million cap space, which includes the big jump in Amari Cooper's contract and other scheduled salary increases. On one hand, that could allow Dallas to carry Tyrone's contract for another season. They could then use the $8 million in 2020 when it's time to look at new contracts for Ezekiel Elliott and Byron Jones. But because they have the other space to use, the Cowboys might want to take that $5.9 million this offseason and put it towards a significant free agent signing. It wouldn't even have to be the defensive line; that could be the money that help finally get safety Earl Thomas to Dallas. Clearly, this isn't a simple decision. However, it does come down to a pretty basic question; is Player X worth more or less than what you can do with the cap space? How the Dallas Cowboys answer that question will decide whether or not Tyrone Crawford is still playing here in 2019.